Ahmad (Jinni) and Chava (Golem) become unlikely friends and soul mates with a mystical connection. Marvelous and compulsively readable, Helene Wecker's debut novel The Golem and the Jinni weaves strands of Yiddish and Middle Eastern literature, historical fiction and magical fable, into a wondrously inventive and unforgettable tale. Filled with his trademark humor and straight talk, The Hard Thing About Hard Things is invaluable for veteran entrepreneurs as well as those aspiring to their own new ventures, drawing from Horowitz's personal and often humbling experiences. Much of what will happen in the next thirty years is inevitable, driven by technological trends that are already in motion. In this fascinating, provocative new book, Kevin Kelly provides an optimistic road map for the future, showing how the coming changes in our lives—from virtual reality in the home to an on-demand economy to artificial intelligence embedded in everything we manufacture—can be understood as the result of a few long-term, accelerating forces. Kelly both describes these deep trends—interacting, cognifying, flowing, screening, accessing, sharing, filtering, remixing, tracking, and questioning—and demonstrates how they overlap and are codependent on one another. Most startups fail. But many of those failures are preventable. The Lean Startup is a new approach being adopted across the globe, changing the way companies are built and new products are launched. Eric Ries defines a startup as an organization dedicated to creating something new under conditions of extreme uncertainty. This is just as true for one person in a garage or a group of seasoned professionals in a Fortune 500 boardroom. The Mom Test is a quick, practical guide that will save you time, money, and heartbreak. They say you shouldn't ask your mom whether your business is a good idea, because she loves you and will lie to you. This is technically true, but it misses the point. You shouldn't ask anyone if your business is a good idea. It's a bad question and everyone will lie to you at least a little. As a matter of fact, it's not their responsibility to tell you the truth. It's your responsibility to find it and it's worth doing right. In this new book by the author of the #1 bestseller The New Rules of Marketing & PR, David Meerman Scott demystifies the new digital commercial landscape and offers inspiring and valuable guidance for anyone not wanting to be left behind. Required reading for any organization that interacts with the public — ranging from independent consultants to established large corporations and small businesses to new start-ups and non-profits — The New Rules of Sales & Service is the essential guidebook for anyone attempting to navigate the exciting and evolving digital landscape. The Obstacle is the Way has become a cult classic, beloved by men and women around the world who apply its wisdom to become more successful at whatever they do. Ryan Holiday shows us how some of the most successful people in history—from John D. Rockefeller to Amelia Earhart to Ulysses S. Grant to Steve Jobs—have applied stoicism to overcome difficult or even impossible situations. Their embrace of these principles ultimately mattered more than their natural intelligence, talents, or luck. In The ONE Thing, you'll learn to * cut through the clutter * achieve better results in less time * build momentum toward your goal* dial down the stress * overcome that overwhelmed feeling * revive your energy * stay on track * master what matters to you The ONE Thing delivers extraordinary results in every area of your life--work, personal, family, and spiritual. WHAT'S YOUR ONE THING? When Peter Thiel and Max Levchin launched an online payment website in 1999, they hoped their service could improve the lives of millions around the globe. But when their start-up, PayPal, survived the dot.com crash only to find itself besieged by unimaginable challenges, that dream threatened to become a nightmare. PayPal's history - as told by former insider Eric Jackson - is an engrossing study of human struggle and perseverance against overwhelming odds. The entrepreneurs that Thiel and Levchin recruited to overhaul world currency markets first had to face some of the greatest trials ever thrown at a Silicon Valley company before they could make internet history. The creation of wealth has always been regarded as a process that requires hard work and luck--often at the expense of others. In this remarkable book, the author of Quantum Healing and other bestsellers reveals how to align with the subtle yet powerful, unseen forces that affect the flow of money in our lives. The Startup Playbook will help them succeed. Going insider to insider with unprecedented access, New York Timesbestselling author and Clickable CEO, David Kidder, shares the hard-hitting experiences of some of the world's most influential entrepreneurs and CEOs, revealing their most closely held advice. Face-to-face interviews with 40 founders give readers key insights into what it took to build PayPal, LinkedIn, AOL, TED, Flickr, and many others into household names. Special sections include topics ranging from how to select the right idea to pursue to finding funding and overcoming inevitable obstacles. In the age of e-mail and instant communication, great sales copy is indispensable to closing a deal. But too many sales letters end up in the junk file or the wastebasket. In this new edition of his top-selling book, author Dan Kennedy explains why some sales letters work and most don't. And he shows how to write copy that any business can use. Think and Grow Rich is the most important financial book ever written. Napoleon Hill researched more than forty millionaires to find out what made them the men that they were. In this book he imparts that knowledge to you. 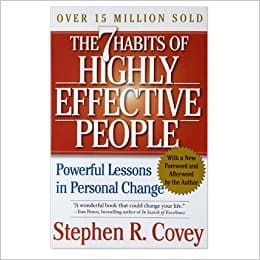 Once you've read this book you will understand what gives certain people an edge over everyone else. By following the advice laid out clearly in this book you'll be the one with an edge. It's time to stop wondering what it's like to be rich and start knowing. In Thinking, Fast and Slow, Kahneman at last offers his own, first book for the general public. It is a lucid and enlightening summary of his life's work. It will change the way you think about thinking. This book contains the distilled tools, tactics, and ‘inside baseball’ you won’t find anywhere else. It also includes new tips from past guests, and life lessons from new ‘guests’ you haven’t met. What makes the show different is a relentless focus on actionable details. This is reflected in the questions. For example: What do these people do in the first sixty minutes of each morning? What do their workout routines look like, and why? What books have they gifted most to other people? What are the biggest wastes of time for novices in their field? What supplements do they take on a daily basis? Traction is a guide to getting customers, written for startup founders, marketers, and those interested in how today's startups grow and get traction. This book shows you how the founders of several of the biggest companies and organizations in the world like Jimmy Wales (Wikipedia), Alexis Ohanian (Reddit), Paul English (Kayak.com) and Alex Pachikov (Evernote) have built and grown their startups. We interviewed over forty successful founders and researched countless more growth stories to pull out the repeatable tactics and strategies they used to get traction. What Doesn't Kill Us, a New York Times bestseller, traces our evolutionary journey back to a time when survival depended on how well we adapted to the environment around us.